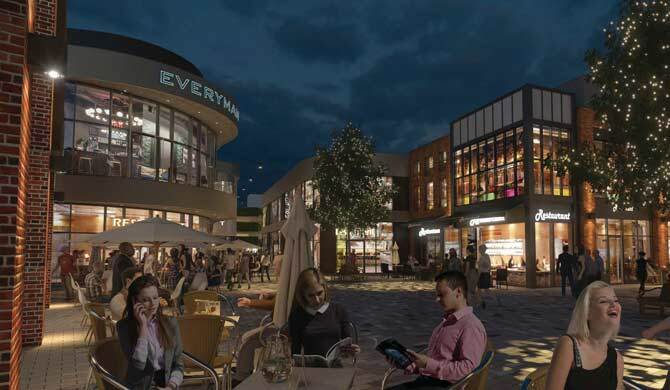 The project involves the redevelopment of the Bell Yard shopping area in Stratford Upon Avon. As the birthplace of William Shakespeare, the town has historic and cultural importance and the regeneration of this central part of the town is sensitive to the heritage considerations. 30 existing retail units are to be adapted and augmented to provide shell-only retail space along with public spaces and facilities, management suite and public realm. The retail provision is to be supplemented by an Everyman cinema and a number of restaurant chain outlets. Our experience in this type of development allows us to readily contribute to design options evaluation and utility service requirements associated with the landlords provision. Design and specification of building services within the common parts led to issue of Employers Requirements for a Design and Build procurement route. Utilities liaison forms a crucial part of this type of development and Scotch Partners undertook various negotiations and engagement with the Utilities suppliers.